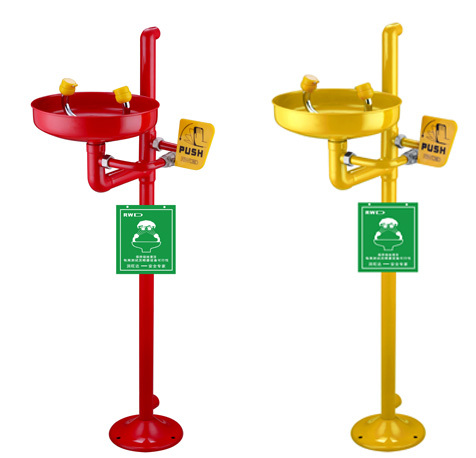 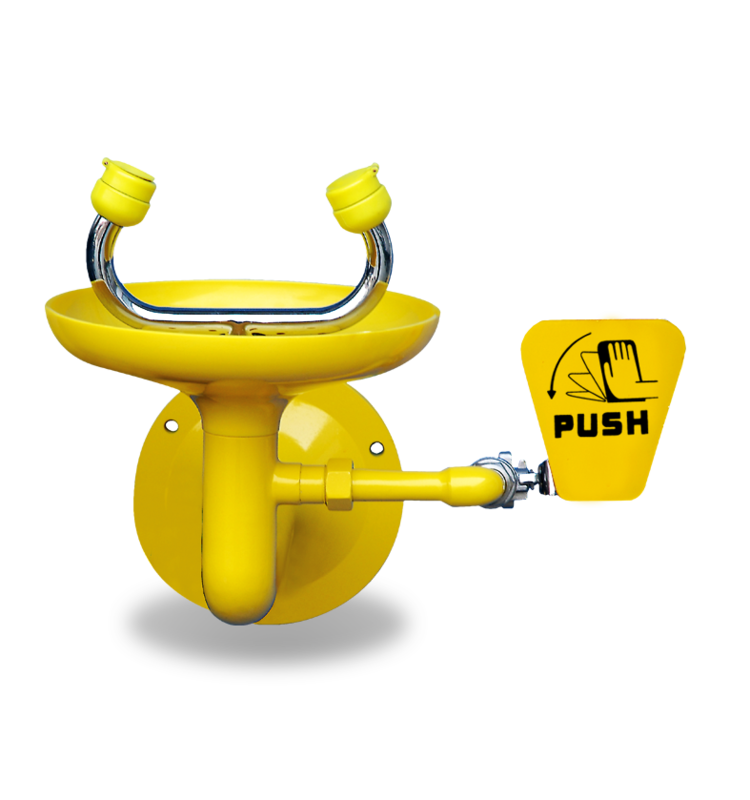 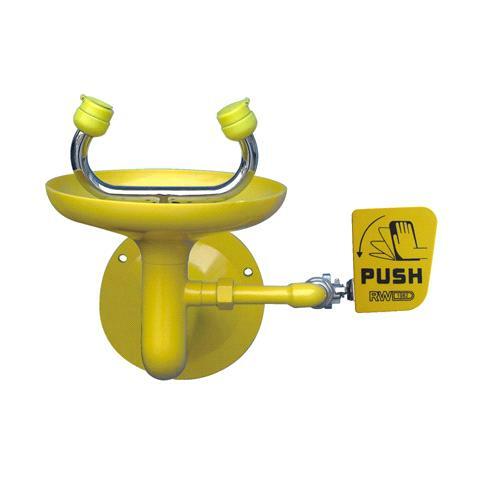 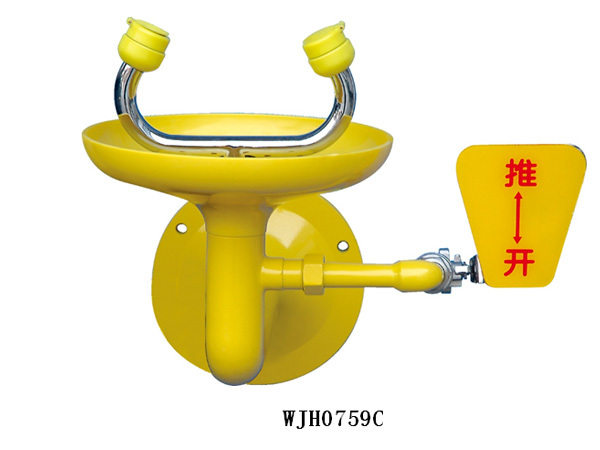 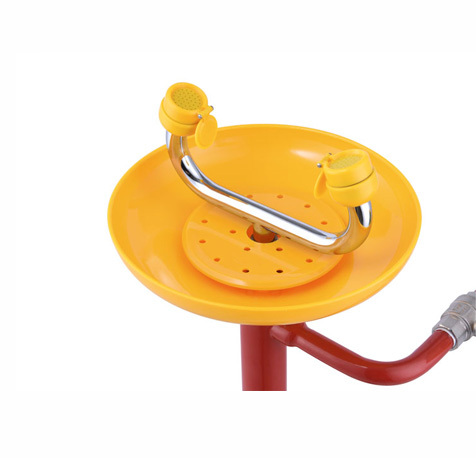 The eye washing station is wall-mounted and features a double head. 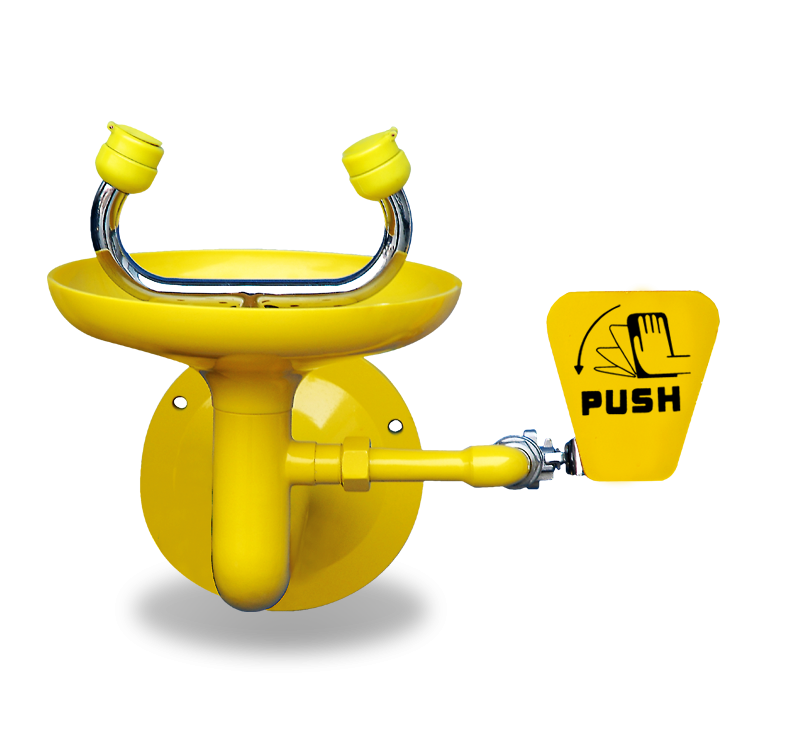 The body metal is stainless steel, and the spray head that presses against the eye is made out of soft rubber. 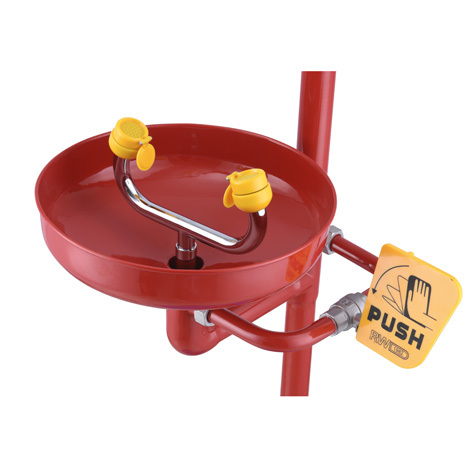 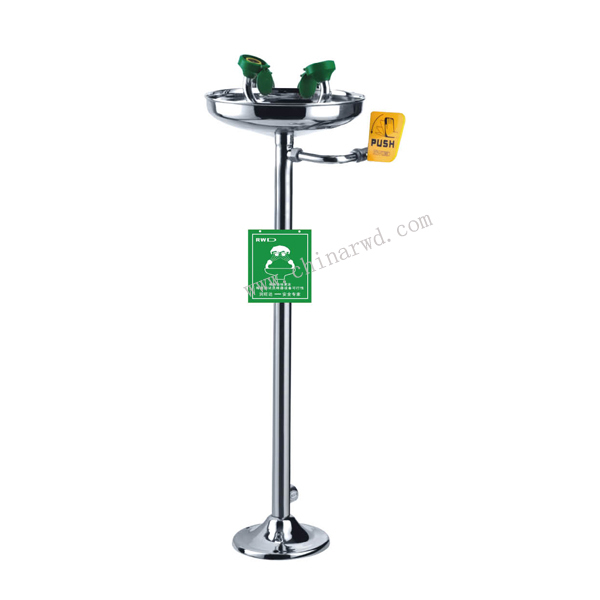 The maximum working pressure is 7 bar.